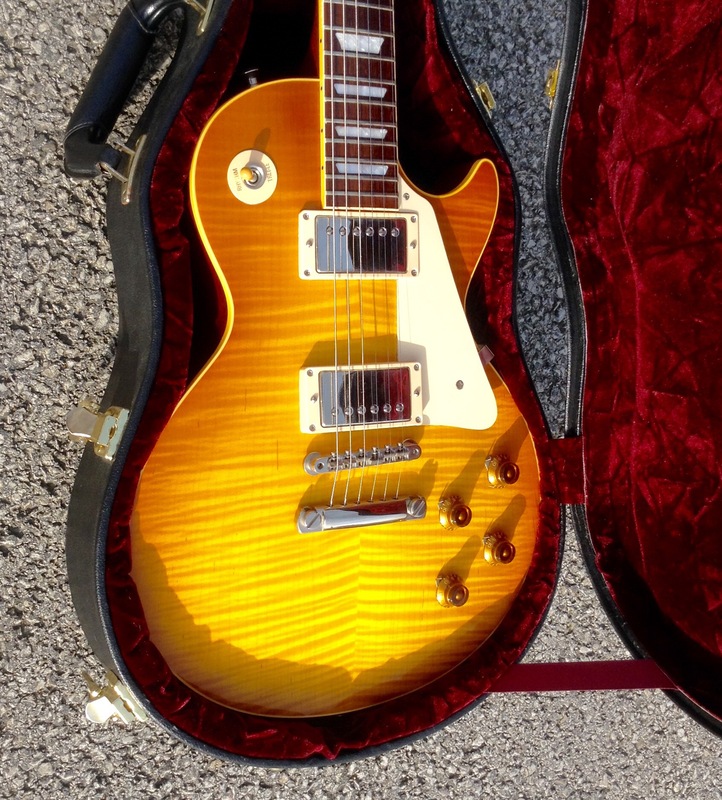 Here another pride and joy in my guitars collection, a remarkably pretty Gibson Les Paul Guitar with killer looks due to its AAA flame maple top and a killer sound to boot; for those who know the Gibson Les Paul Custom range, you will have seen some great examples of Gibsons luthiery. However, this one takes the biscuit. I am not writing much bumf on here other than that this is a close cousin to the 1958 Gibson LP. An R8 historic, close to the vintage original , in a 2001 reissue. Came with luxury Gibson Custom Case, neck plays light and fluid.